Mon-Thur Group parties of 25 or more. 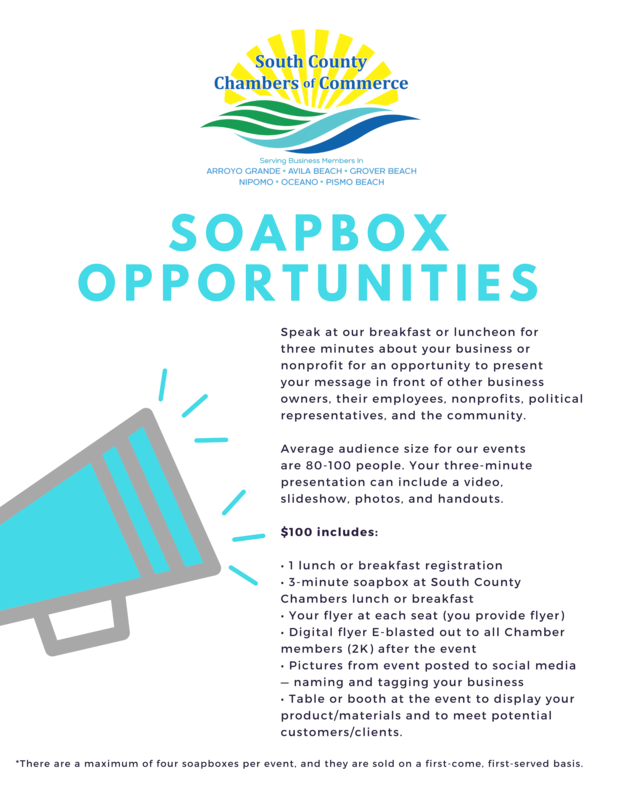 Call for reservations. Unending adventure awaits you at Lopez Lake. 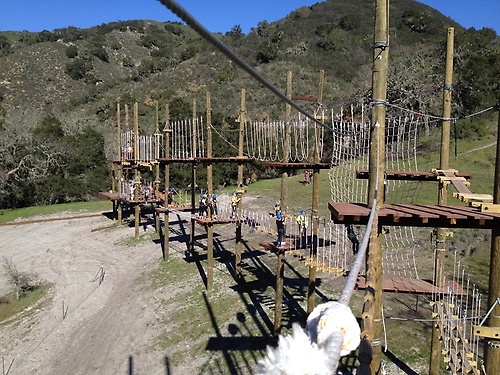 A first of its kind, side-by-side adventure/zip line park. Come and enjoy the 50+ elements we have to offer varying in difficulty from our lower first timer's course to our upper black level course. 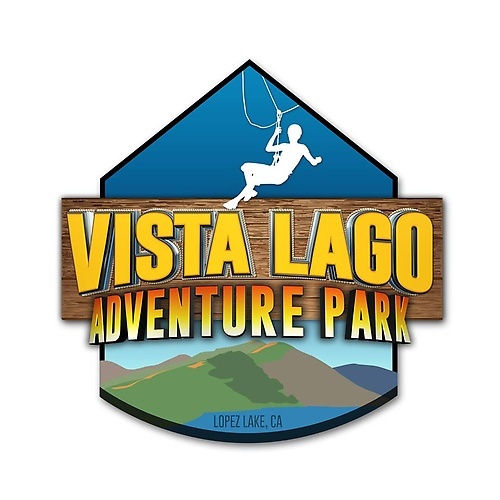 Feel the rush of air and excitement on any of our 4 zip lines totaling over 2,100 ft, including 2 high speed zip lines that end on Vista Lago Point. Lose your stomach on our 40ft free fall Quick Jump. Constructed on free standing poles, the Upper Courses include 40+ elements including the SkyBridge with platforms in-between to catch your breath. Our Upper Course area includes four distinct courses that vary in degree of difficulty. Built at much lower heights than the Upper Course, our Low Course is designed for beginners to get comfortable with heights and understand the equipment. Our low course includes 12 elements which are designed for adults and children. Totaling over 2,100 ft in length, our 4 zip lines will have you coming back for more. 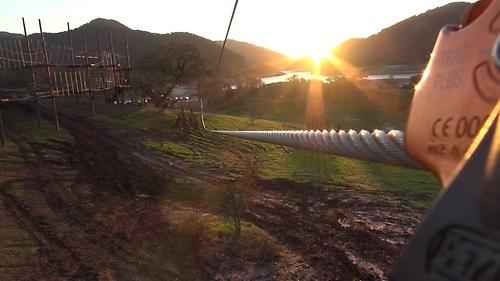 2 zip lines, 280 ft and 340 ft are next to the Upper Course and designed for fun and utilized as -People Movers- for adventurers to access other parts of the course. 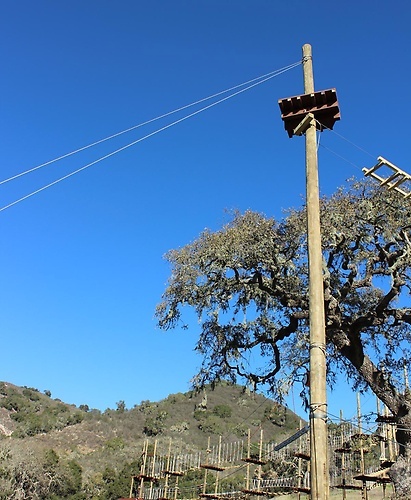 Our 2 high speed zip lines, 700 ft and 840 ft equipped with state of the art Zip Stop braking systems, are for the thrill seekers and include some of the best views of Lopez Lake. 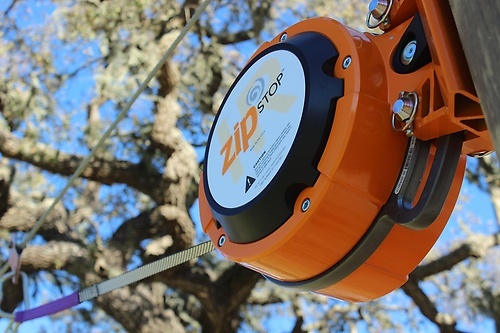 Our Quick Jump auto belay system allows adventures to free fall from 40 ft and gently land on the ground below. Not for the faint at heart!